↑ ক খ Susan G. Bell and Karen M. Offen, eds. (1983). Women, the family, and freedom. 1. 1750 - 1880. Stanford U.P. pp. 29–37. ISBN 9780804711715. ↑ Dominique Godineau (1998). 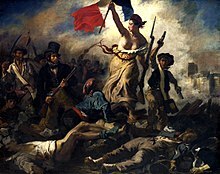 The Women of Paris and Their French Revolution. University of California Press. pp. 160–61. ↑ Hufton, "In Search of Counter-Revolutionary Women." pg. 303"